The idea of people who try to kill themselves three ways at once is something that occasionally pops up in weird news. 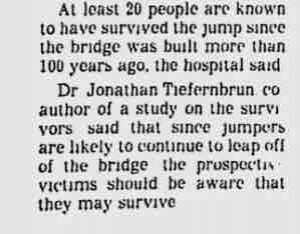 Though I'm not sure if it really belongs to weird news or is more of an urban legend. 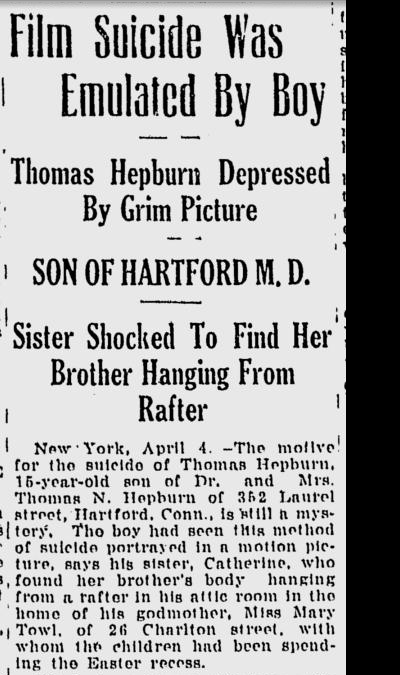 Back in 2014, I posted about an attempted 4-way suicide that was reported in 1922. 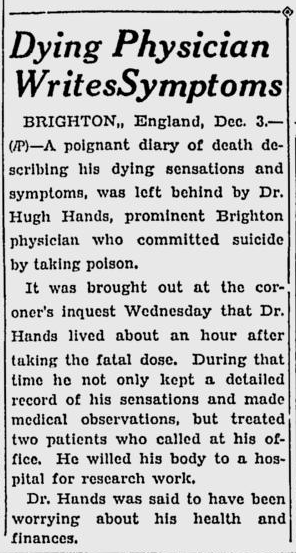 A man tried to torch, hang, poison, and shoot himself simultaneously. But I was also suspicious of that reporting. In 1992 California began requiring that motorcycle riders wear a helmet. Despondent, Gerald Marotta, 48, put on his helmet and shot himself. He left behind a note, "Now I can't ever ride again." 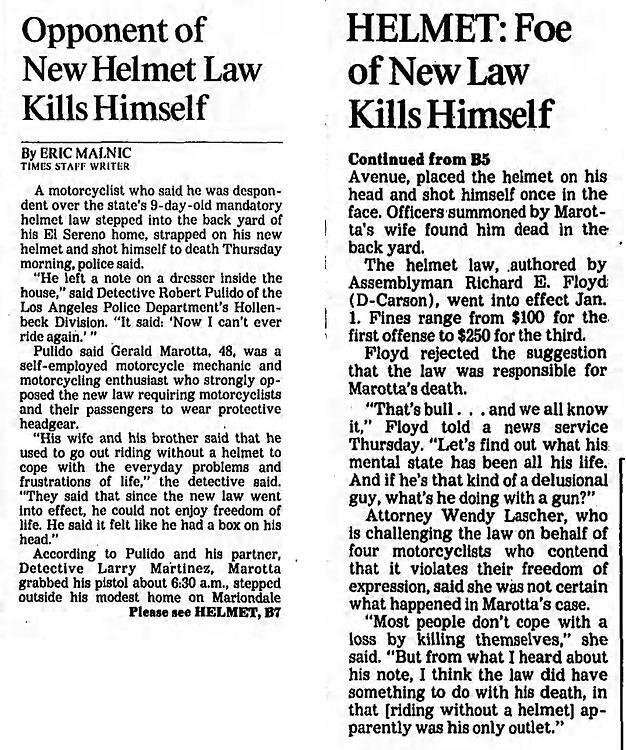 Attorney Wendy Lascher, who had challenged the law, said, "from what I heard about his note, I think the law did have something to do with his death, in that [riding without a helmet] apparently was his only outlet." Teen Suicide Inspired by Media! Yes, a "contemporary" trend happening in 1921. This is disturbing, but also definitely weird. Of all the possible ways to off yourself, why choose a dishwasher? Evidently some psychiatric issues were involved. 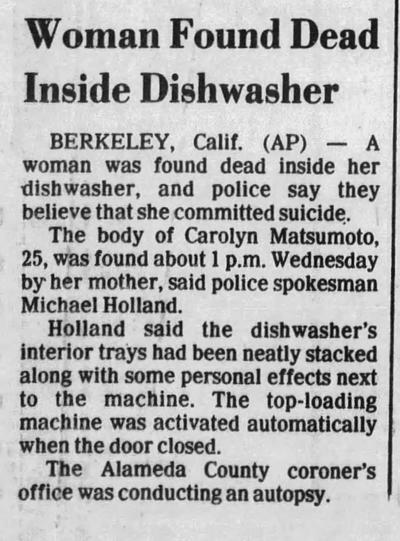 BERKELEY, Calif. (AP) — A woman was found dead inside her dishwasher, and police say they believe that she committed suicide. The body of Carolyn Matsumoto, 25, was found about 1 p.m. Wednesday by her mother, said police spokesman Michael Holland. Holland said the dishwasher's interior trays had been neatly stacked along with some personal effects next to the machine. The top-loading machine was activated automatically when the door closed. The Alameda County coroner's office was conducting an autopsy. I had this post in the queue before Alex did his story about the woman jumping yesterday. Maybe this is the explanation for her miracle. Apparently, it's best to put on a few pounds before jumping from a high place, if you are serious about doing yourself in. January 1958: "If I had a gun, I'd kill myself," unemployed Robert Ponton told police officer Walter Ryan. So Ryan handed him his gun, and Ponton shot himself. Ryan, who was later charged with abetting a suicide, said he was "dumbfounded and petrified" by what Ponton had done. 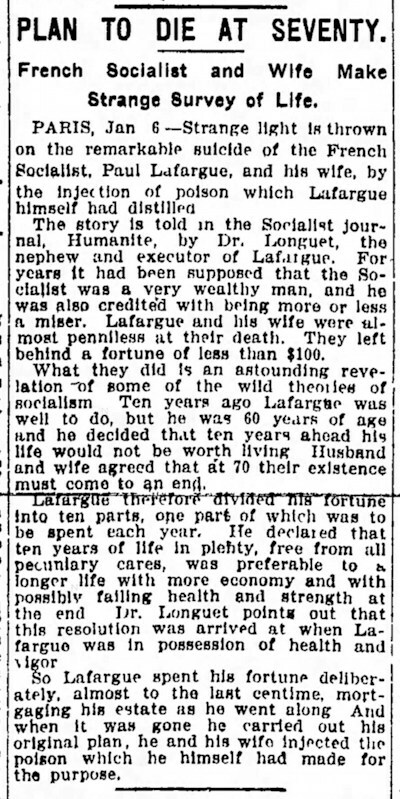 November 1911: Paul and Laura Lafargue were found dead in their home in Draveil, just outside of Paris. They had committed suicide by injecting poison. Laura was the daughter of Karl Marx. She was 66, and Paul was 69. It turned out that their suicide was the result of a ten-year plan. Or, at least, that's the story that circulated around. Ten years before, they had decided that they could either live ten years very well, or longer with more financial uncertainty. They opted for Plan A. So they mortgaged the house and divided up all they had into 10 equal parts and spent one part each year. When they had nothing left, they both took poison and checked out.